Toys are for all seasons. No matter what the season is, kids have their own choice of toys to play with. 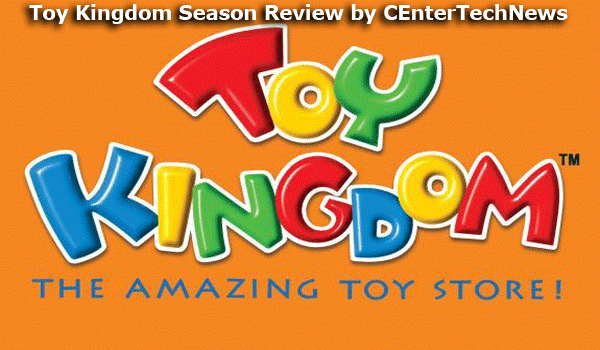 And the enchantment continues with Toy Kingdom that operates under the Toyworld Inc. (ITI). This is owned by a Filipino and it has been giving joys and happiness to people since September 1990. When it comes to toy shops, this is probably the largest in the Asia-Pacific region being an affiliate to the SM Group of Companies. Whatever toys that you are looking for that will serve as a gift to someone, you can have it with Toy Kingdom. And Toy Kingdom Season is here. For the record, it has 98 branches in SM centers across the country. With the above list, you will not find it hard anymore to find what you are looking for. Toy Kingdom knows exactly your needs and with this organized system of putting toys in their respective places, finding is easy. On the official site of Toy Kingdom, you will access to different dropdown menus that will help you navigate through the site. The thing is, there are so many choices of brands of toys to choose from and some of them are Disney, Disney Princess, Gundam Age, Hello Kitty, Lalaloopsy, Leap Frog, Mega Bloks, Nerf, Nickelodeon, Nintendo, Play-Doh, Power Rangers Mega Force, PS3, PSP, Silverlit, Transformers Prime and many more.